If you have customers who pay with a method other than a check then you'll need to setup an alternate Receipt Type. Here's how to do it! 2. Create a new Receipt Type. If the Receipt Type is not to be used anymore, check the Inactive box. If you want the Receipt Type to be available in the Sales Module of the AV Mobile application, check the Available to Mobile box. 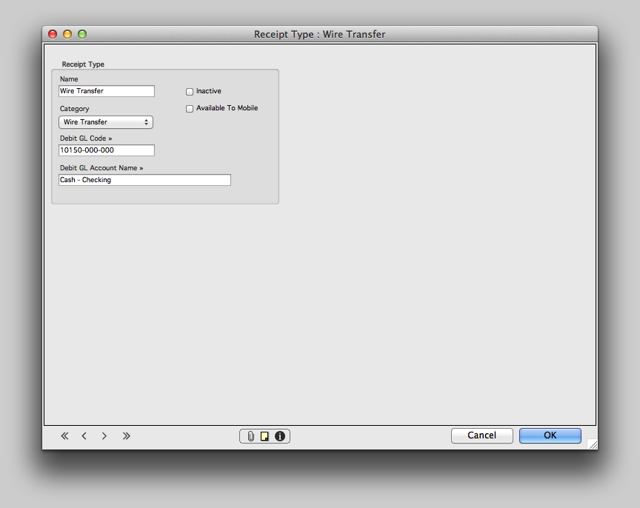 In the below example I've created a Receipt Type for Wire Transfers. When I post Receipts of this type the amount will be debited to my Cash - Checking GL account. 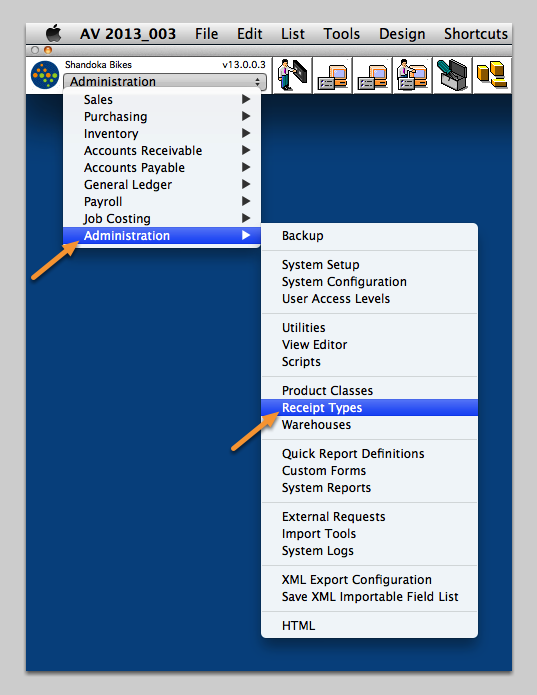 Zoom: Create a new Receipt Type. When you've set up your Receipt Types, you can begin record customer payments via the Receipts screen.